I found this little gem the other day, that I made a couple years ago. It’s a Photoshop action (tested in CS3, 4, 6, although I don’t know if it works in non-English Photoshop versions), that generates a seamlessly tiling camouflage pattern, with the option to turn it into digital camouflage. 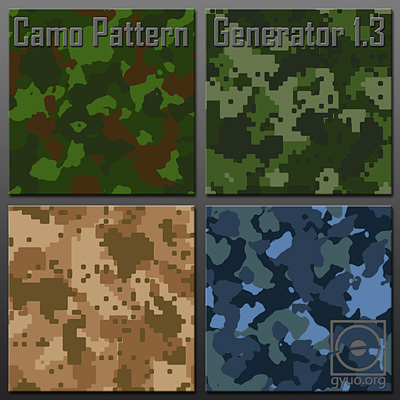 It’s intended for creating camo overlays for your textures, but I’m sure there’s other uses as well. This entry was posted in BLOG and tagged Photoshop, Tool on October 17, 2013 by Ralf.